Thirty-six percent overall say they support the decision. 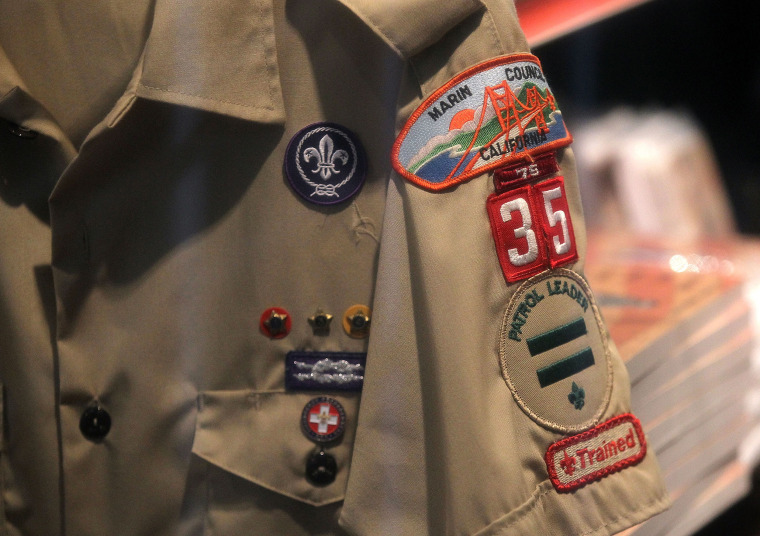 The new survey shows that there is not a significant gap in how women and men view the decision to allow girls into the Boy Scouts; very similar shares — 58 percent of men and 56 percent of women — oppose it. But partisans differ dramatically on the gender integration plan. Among Democrats, 50 percent support the move, while 41 percent oppose it. But among Republicans, just 19 percent back the Boy Scouts’ decision, while a whopping 77 percent give it a thumbs down. Age is also a major factor in how the public views the decision. Younger Americans are about evenly split, with 47 percent of 18-34 year-olds supporting the move and 44 percent opposing it. But among Americans over 50, those opposing the Boy Scouts' decision outnumber those supporting it by a margin of more than two to one. The NBC News/Wall Street Journal poll was conducted October 23-26, 2017 and has an overall margin of error of +/-3.27 percent.